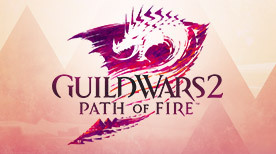 Guild Wars 2>News>PAX East Is Coming! PAX East 2015 marks the first opportunity for fans to play a demo of Guild Wars 2: Heart of Thorns™, and we’re excited to bring it to the show floor. 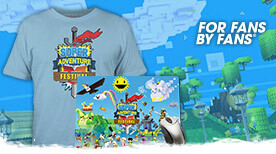 Also, for the first time, fans can play our new PvP game mode, Stronghold. We’ll be streaming both the PvE demo and Stronghold matches all day on Friday, March 6, and Sunday, March 8. We’ll also have special guest streamers playing Guild Wars 2: Heart of Thorns live, so check the PAX East event page for the schedule and watch our Twitch channel during the weekend. We’re hosting a community party on Friday, March 6. We’ll be holding Guild Wars 2 trivia quizzes at 10:00 a.m. and 5:30 p.m. Eastern Time (UTC-5) at the booth and running Stronghold matches at select times during the day. Join us on Friday for a chance to score a pass to the Guild Wars 2 party. On March 7, we’ll be hosting the World Tournament Series Championship at the ESL booth, where teams from North America, Europe, and China will battle it out to find out which region has the most skilled Guild Wars 2 players in the world. If you can’t make it to PAX East, we’ll be streaming the tournament live on our Twitch channel, so subscribe to be notified when the tournament begins. On March 6–8, we’re offering both the Guild Wars 2 Digital Heroic Edition and Digital Deluxe Edition for 75% off* to celebrate our WTS Finals and the playable demo of Guild Wars 2: Heart of Thorns at PAX East! Already a Guild Wars 2 player? Tell your friends so they can get ready for Guild Wars 2: Heart of Thorns by picking up this award-winning MMO that has captivated millions of gamers worldwide and experience a constantly evolving fantasy world where their actions make a difference. Get Guild Wars 2 starting tomorrow and save! 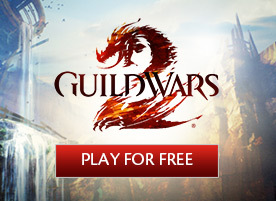 *Offer applies only to Digital Heroic Edition and Digital Deluxe Edition purchased through buy.guildwars2.com from March 6, 2015, at 6:00 a.m. Pacific Time (UTC-8) through March 8, 2015, at 11:59 p.m. Pacific Time (UTC-7).